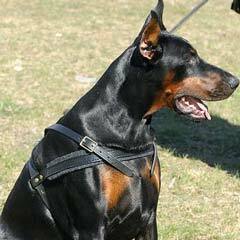 Dobermans are very active dogs. The goal of the owner is to direct dog's energy to the right direction. Some people chose sure variants to achieve this goal. 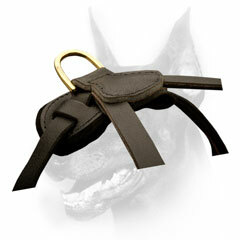 For example, they take Dobermans when riding a bicycle or skateboarding. The dog pulls very hard and return home completely tired, but happy. Of course, it may take time for your Doberman to get used to such walks, but there is no doubt you and your dog will enjoy the walks of the kind. 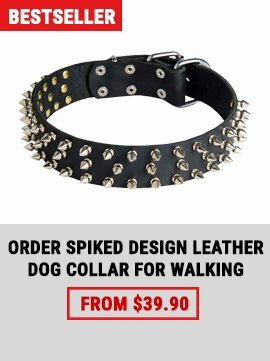 We are happy to present you this Incredibly Strong Leather Harness that will help to make your walks, no matter with bicycle or without, pleasant and unclouded. Why are we sure in it? 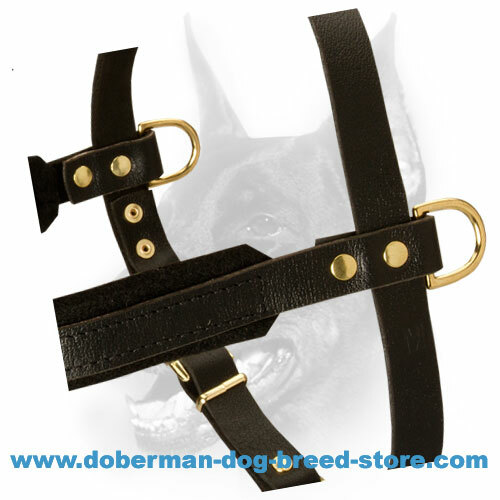 This Harness was especially made for pulling, it is produced of high-quality leather so it won't tear even if your strong Doberman pulls very hard. 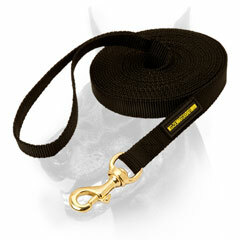 The Harness has leight weight, it doesn't restrict your dog's movements and allows the dog enjoy everyday walkings. The Harness is multifunctional. 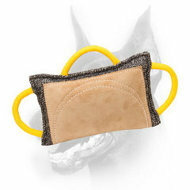 You may use it for different kinds of training, i.e. 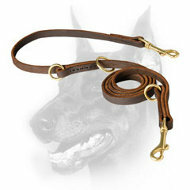 obedience, off-leash training as well as tracking and pulling work. 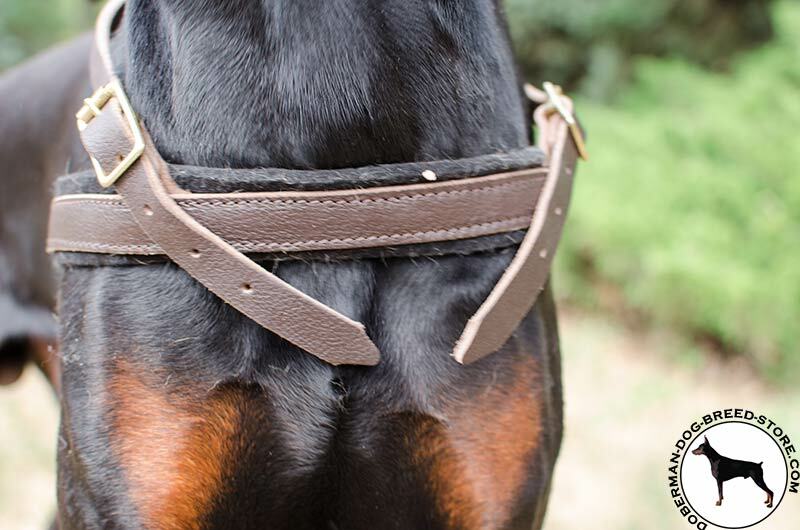 There are two D-rings on both sides of the harness. 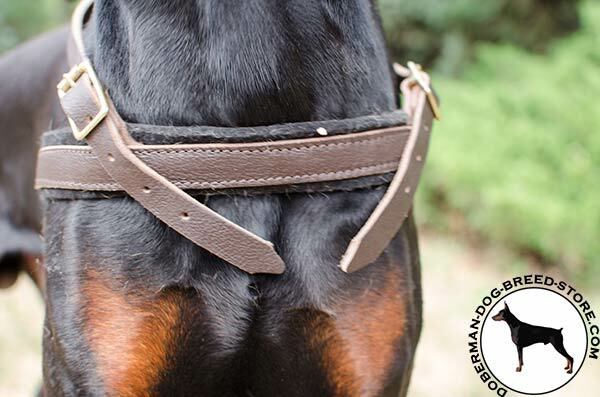 They are nesessary for pulling work because when the cargo is attached to these D-rings the load is evenly arranged over the dog's body. 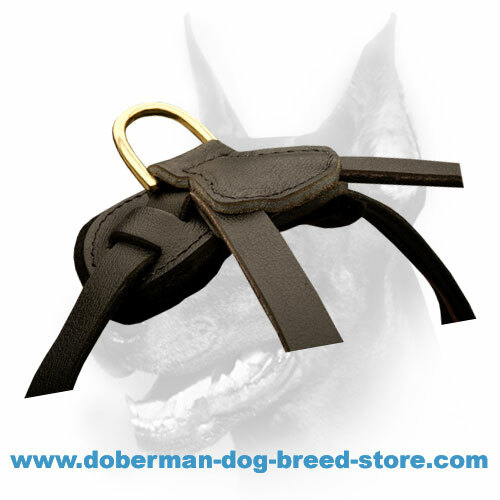 In this case it's much easier for Doberman to do the task. 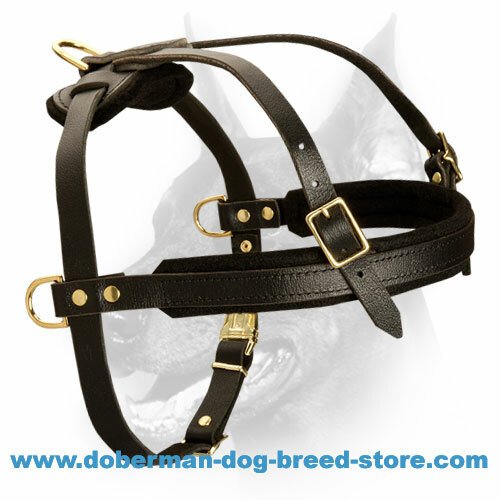 The Harness provides maximum comfort. 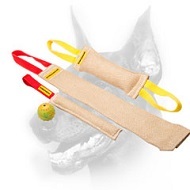 The Harness has three ways of adjustment so you can easily make the Harness fit your dog's dimensions. 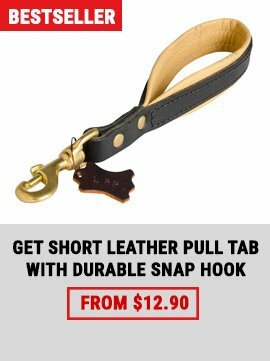 In case your dog is inclined to gain weight or is still growing there will be two more ways to adjust this Harness. 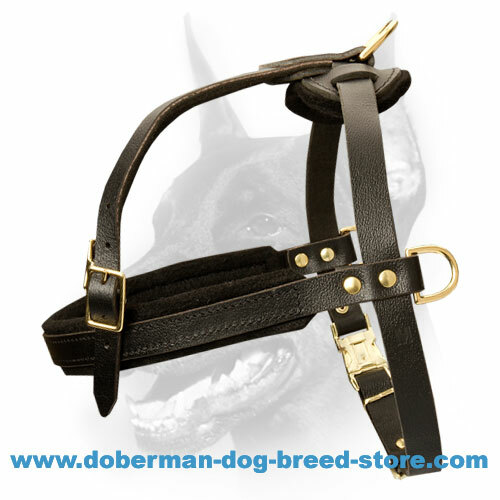 The inner side of the breast strap is lined with sick felt in order to absorb the shock during pulling and to provide extra comfort for your Doberman. The Harness won't tear. This Harness is made of selected pure leather and riveted for better durability. 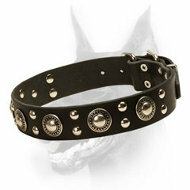 The leather is non-toxic so your doggie won't have skin irritation. The fittings are solid brass and they won't rust in time. 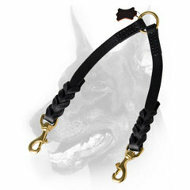 Even if you don't plan to use this Harness during training sessions it will be useful when daily walkings. 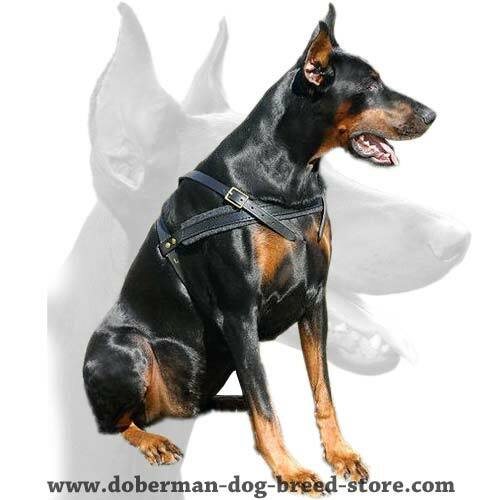 Dobermans are very active dogs and they want to enjoy walks as much as possible that's why it's important to have strong Harness to be sure there will be no unexpected troubles. 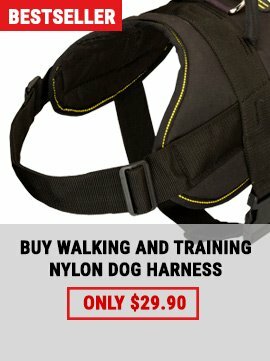 Hi Guy, Just wanted to let you know about a major issue we are having with the harness we ordered. The last time Maple was on a free run in some scrub when she got spooked by something. In her panic running around, I could see that the belly band clip had come undone. The whole harness was hanging around her neck with the belly band hanging down. She was obviously freaked by it and continued to run and run for about 20 mins. Eventually , she ended up putting her leg through the side part, so she was wearing it back to front. I was really quite worried in case she trapped a leg or was tripped by it running it at full speed but luckily she was ok. I like the design as it is easy to get on/off but cannot rely on it at all which is sad. Is there any way that this can be changed to prevent this happening again? 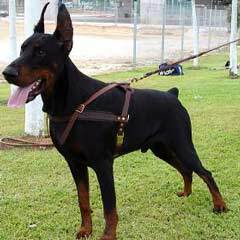 In fact, in many countries people do not like bringing Doberman dog breed home just because they are afraid of this dog. 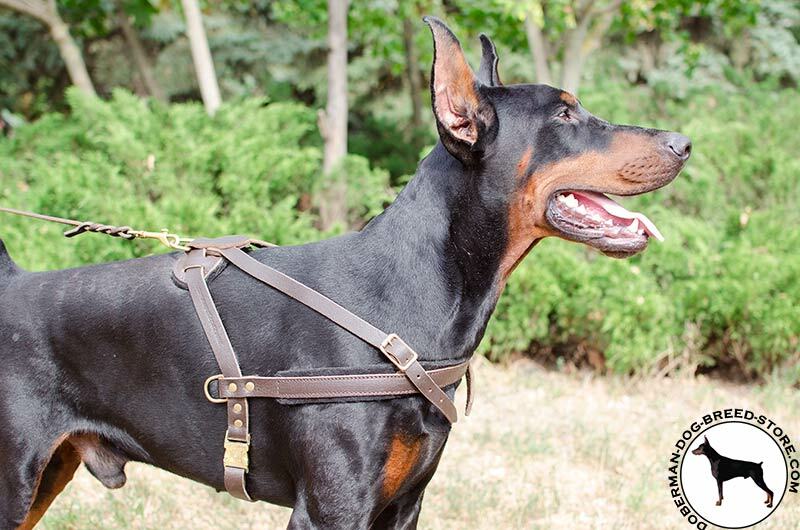 The sad statistics even says that a lot of Dobermans are deserted by their beloved owners. And one can hardly name the number of these abandoned racy dogs that gradually increases. And from here a reasonable question arises: what to undertake in the situation? 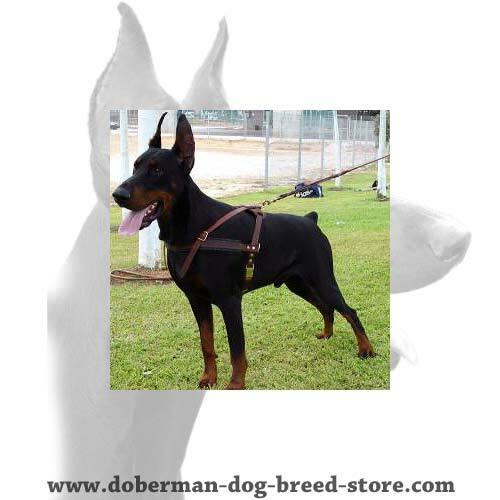 Doberman as well as other dogs are in great necessity of help according to various reasons. Luckily, there are many people who dedicate their lives to salvation of these unhappy dogs. 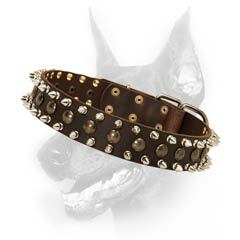 These situations happen because of frivolous interest of some dog owners who accept Doberman as tribute to fashion. When seeing homeless dogs one cannot hold back tears. Mostly the people who are not to blame for that do their best to find the other residence for deserted dogs. They create specialized sites where a group of initiative persons is formed and these people are engaged in salvation of victim Dobermans. 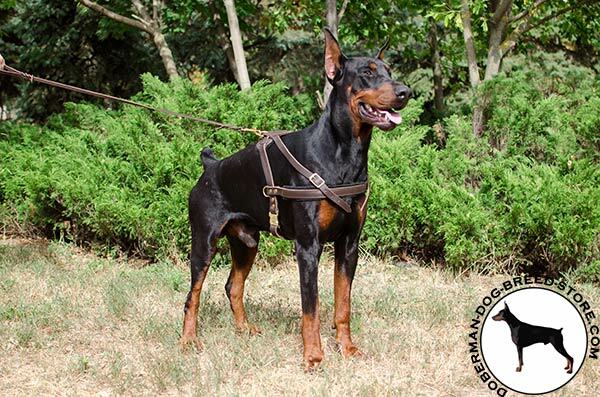 Not only sponsors are necessary for solving of this problem but primarily those people who do not reflect on the situation when acquiring Dobermans, videlicet they do not have an idea of living together with these dogs. 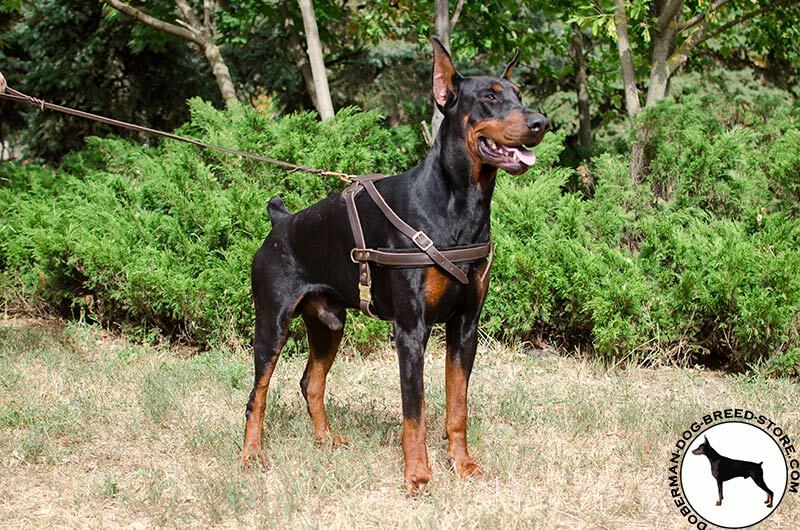 The worst is that these people can't provide relevant conditions for Dobermans that in turn is of great importance for further development of the dog. 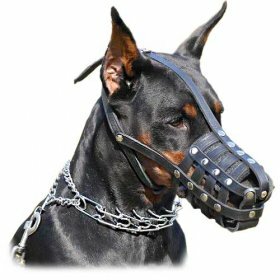 Doberman. The very same deserted dogs. - READ MORE!